The Satire Supper held at the Societi Bistro in Orange Street was a wonderful opportunity for book lovers to meet their favourite funnymen. Thamm urged diners to interrogate their resident satirists as the evening played out. Our table enjoyed starters with Zapiro, had main course with Rico, got sweet with Eric Miyeni, and lingered over coffee with Tom Eaton. Asked about his penchant for G&T, he said, “G&T? Tastes like aftershave. Never drink it. Only useful as a medicinal preventative for malaria.” He assured the table that Oliver Cromwell had succumbed to malaria in Merry England back in the 1500s. “Where does Madam & Eve come from?” asked one guest. He assured us that he’d found it in a second hand shop in Bloemfontein. Tom Eaton held court last. Despite having almost no voice, he amused the group with his understated wit and gentlemanly demeanour. He spoke of the vicissitudes of the writing life. In his twenties, his spoof on the Da Vinci Code, The De Villiers Code, was a runaway success, selling 12 000 copies. It was an event not to be missed! For those who’ve only heard rumour of the scrumptious edibles on offer at the high tea, the sacher torte and jam tarts were a feast for the eye and a banquet for the tongue. The meeting of two literary figures in the Mount Nelson Hotel, was a slap-up event for mind, body and soul. The joint winner of the prestigious Wole Soyinka Prize for Literature in Africa, Kopano Matlwa, met with the great man himself, and the discussion that ensued was heartening indeed. She reflected on the increasing distance from the former generation that went in headlong to tackle political issues. “The younger generation are more comfortable to move away from the politicisation of writing and want to enjoy writing about the beautiful things they come into contact with in daily life,” she said. Soyinka said he didn’t want people going away with a particular notion of weighty issues. He acknowledged that there were immediate and critical issues like child soldiers, HIV/AIDS, corruption, and continuing despotism that required a response from all quarters of society, however these were not necessarily more more important than other material that occupies literature. 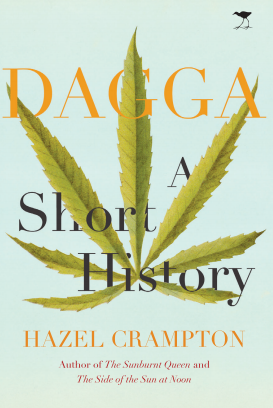 “When you look at the history of literature, the history of the world and literature in relation to the world, you find that in terms of politics, disjunction, alienation and social, there’s nothing new. Literature has been battling these things constantly. At the end of a fascinating hour, the audience engaged with the panel with passionate questions, and heartfelt demands for a thorough airing of the range of issues that were raised in the forum. Nobody left hungry. The Cape Town Literary Bus Tour started at Clarke’s Books in Long Street, where guests mingled, munching on crisp cinnamon biscuits and savouring the scent of cloves rising off the jugs of fortifying gluwein. Academic, editor, writer and poet, Helen Moffett, added a new hat to her brimful by taking on the challenge of conducting a literary bus tour around town. Patricia Schonstein, Don Pinnock, Ronnie Govender, Rustum Kozain and Sindiwe Magona engaged with visitors coming from as far away as Nigeria and Abu Dhabi to attend the Cape Town Book Fair. The first port of call was Bob’s Bar in Long Street, where Patricia Schonstein, pointed out the fittings that featured in her latest novel, Banquet at Brabazan: ceiling fans and heavy billiard tables under dim lighting that created a sense of a permanent night. She read an extract that featured locals, Chris Wildman and Hugh Hodge set in the spot. Govender said the stories he’d heard as a child within the walls of Govender’s Hotel on Cowley Street fed into his fictionalised autobiography, The Lahnee’s Pleasure. He recalled his uncle, Chin Govender, who left home, penniless after a quarrel, walking to East London and travelling on to Cape Town, where he became the first black owner of a hotel in South Africa, and possibly in Africa. Helen Moffett urged visitors to the city to stay a mite longer in order to treat themselves to Govender’s iconic play, The Lahnee’s Pleasure, based on the book, and showing at the Baxter Theatre in August. It is being staged to commemorate the 150th anniversary of the arrival of Indian people in South Africa. Rustum Kozain, prize-winning poet, translator, editor and social commentator, is the author of This Carting Life. He was next to read and the poems he chose were from – and this will thrill South African poetry aficionados – a new manuscript. She said the place had fond memories for her as she recalled the long walk to the Retreat station, the train ride and the steep haul up the hill. She read a series of poems from Please Take Photographs, her debut poetry collection that explored the darker themes of living through a dehumanising time. Rainmaker, which was short-listed for the EU Literary Award last year. The extract ventured into the gang culture and the tragic outcome of bored youth and social fragmentation. Pink champagne and white lilies decked the tables at the Fraiche Ayres coffee shop at the Stark Ayres garden centre for Grand Dames of the Garden, the first event of the Jacana Jamoboree to sell out completely! Margaret Wasserfall hosted the brunch with authors Una van der Spuy, Pat Featherstone and Christine Stevens. The common theme connecting the books was the vital connection that exists between the garden and the people that pass through it. Each author highlighted the importance of understanding that what we put into the soil and what we take from it to put in our bodies has a significant impact on the health of our bodies and our planet. If the vitality and verve of the crowd who attended this event is anything to go by, it is proof positive that gardening is one of the best health promoting activities on offer. Birthday girl, Nanette, celebrated her 82nd with a toast of bubbly. The darling of the day was surely Una Van der Spuy, who at 98 has just published Old Nectar: A Garden for All Seasons her eleventh book on gardening! She reflected on the changes in gardening techniques over the years, pointing out the catalogues which boasted a fantastic range of 104 different types of camellia, some thirty years ago. She lamented the loss of flower shows. The last flower show happened some 30 years ago. She advised that planning a garden should be done with the same attention to detail as home decoration. Consider the size, shape, texture and colour of the species you plan to plant. Choose leaves of different shapes and sheen to make the garden more interesting. Don’t just go to the nursery and buy. Her tip to folk with small gardens was to avoid choosing plants with large leaves and dense foliage that would make their gardens cramped and seem smaller. Christine Stevens, author of Harvest: Recipes from an Organic Farm, urged gardeners to consider growing food for the table. She and her husband moved to a remote wine farm in Slanghoek ten years ago. She set about building vegetable gardens in all sections of the farm, grown naturally, or what is trendily called “organic”. She uses no herbicides or pesticides. She noted that people don’t grow fruit any longer. “Every garden should at least have a lemon tree in it.” And every garden should certainly have a compost heap. This cuts down on the methane gasses that go into landfills and enriches the soil in which one is growing one’s food. When the soil dries out, the roots go deep and a sturdier plant develops. For those who are mindful of the state of the earth’s water resources, the injunction not to water indiscriminately resonated deeply. Stevens encouraged gardeners to grow different types of plants together, for example basil and tomato. Flavours that taste good together will usually grow well together. Pat Featherstone has devoted her life to wholesome soil as the founder of Soil for Life. Featherstone, author of Grow to Live: A simple guide to growing your own good, clean food, mentioned that the Medical Research Council recently stated that the tenth biggest health risk affecting the country is that 80% of South Africans are eating less than three servings of fruit and vegetables daily. The World Health Organisation said in 2002 that 25 million deaths each year were diet related. “South African topsoil is being lost at rates of 300 to 500 million tons per annum, washing into rivers and into the sea. Since the last world war, America has lost one third of its topsoil.” This has dire implications at a planetary level, but locally, some 55% of the land in the Eastern Cape is in such bad condition that it might never be restored for agriculture again. Where the fertility of the soil is severely compromised, artificial fertilisers are used that cause the plants that grow too fast and consume too much water. This results in a watery flavour and a killing off of the soil. Bad planting practises, including mono-culture and lack of crop rotation, have contributed to the destruction of soil. She recommended commercial seeds should be washed before using to remove the pesticides with which they are sprayed. “Plant lettuces between your roses and spinach in your ornamental garden. You don’t need a dedicated vegetable garden in a huge amount of space to have delicious salad stuffs,” said Margaret Wasserfall. The message from the panel was loud and clear: Grow your own! Additionally, support your local farmers. Go to a local market, subscribe to an organic box scheme and keep the carbon footprint neat and tidy. Speakers: Editor Dr Fanie du Toit (Programme Director for Educating for Reconciliation at the Institute for Justice and Reconciliation) in conversation Raenette Taljaard and other contributors to the book. There are no simple answers. As the leading voices in In the Balance make clear, reconciliation is a question that must be debated – together – with a candid acknowledgement that the disagreements provoked by reconciliation are an opportunity to interact and learn from one another. Only by sharing our diverging accounts of reconciliation will we come to terms with its contested legacy, its contemporary meaning and its future possibilities. Direct and thought-provoking, the essays here offer staunch defences and pointed criticisms of reconciliation. Together, they challenge the conventional wisdom and sound an important call: once again, it is time to ask after reconciliation’s meaning, practice and value. Come join us at the Jacana Jamboree for this not-to-be-missed launch. Jodi Bieber in conversation with Ismail Farouk! Acclaimed home-grown photographer Jodi Bieber has created an open-ended essay which is a celebration and a portrait of life in Soweto today. The importance of Soweto in the collective consciousness is hard to overstate. It registers as a place born of resistance, perhaps even embodying the South African struggle for freedom. But the birth of Kwaito is attributed to Soweto too. And beyond the grand narratives, there is, and always was, a proliferation of dancing, art and fashion in this place defined by its energy and cosmopolitan nature. Labelling and un-labelling, claiming and discarding, Sowetans have created Soweto anew. This is a phenomenon that is celebrated in this photographic publication, which contemplates daily lived realities, where here, as elsewhere, South Africans are continually reinventing themselves and their urban space. At this Jacana Jamboree launch in Cape Town, Jodi will be in conversation with Ismail Farouk, an artist and urban geographer. His work explores creative responses to racial, social, political and economic justice. He is currently employed as a researcher at the African Centre for Cities at the University of Cape Town. In conversation: Jonathan Crush and Daniel Tevera, with a performance by Jonathan Khumbulani Nkala! Jacana Media and Lobby Books invite you to the launch of Zimbabwe’s Exodus, edited by Jonathan Crush and Daniel Tevera. 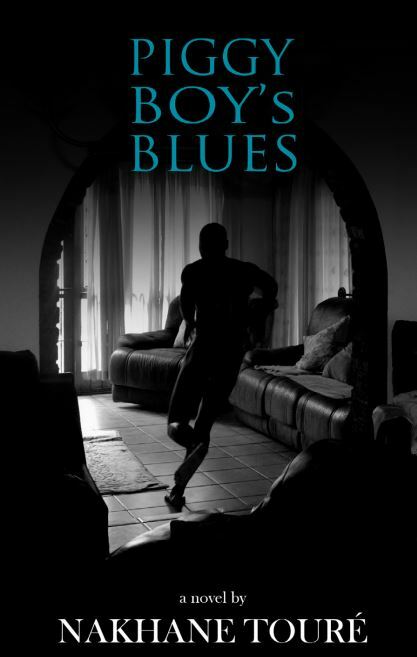 At the launch, Jonathan Khumbulani Nkala will be performing, The Crossing, his one-man play about his journey on foot from a dusty Zimbabwean village to Cape Town. The event is part of the Jacana Jamboree – we’ll see you there! Jacana Media in association with The Book Lounge, Cape Times and Equal Education invite you to join the Jacana Jamboree at the launch of Slow Motion: Stories about walking by Andie Miller. Join the author in conversation with writer and committed walker Damon Galgut. The event is part of the Jacana Jamboree. Please bring high-quality children’s and young adults’ books in good condition, to donate to Equal Education’s book drive for school libraries. 10% of all Jacana books sold at the event will also go to Equal Education’s book drive. The Jacana Jamboree Hits Cape Town! Jacana Media, in association with the Cape Times and Equal Education, is thrilled to invite you to the Jacana Jamboree, a series of events running in venues all across Cape Town before, during and after the Cape Town Book Fair. Please join us from Wednesday 28 July to Sunday 1 August – and again from 19 to 31 August – to partake in an incredible lineup of books, authors and events. The complete programme is below – we’ll see you at the Jamboree! The author in conversation with Damon Galgut! Slow Motion is a collection of non-fiction stories about walking. This collection has been written over a number years, and documents transformation in South Africa through the eyes of pedestrians across the economic, racial and age spectrum. The book inevitably examines the issue of crime, and how we have moved from a race-based to a class-based society, as pedestrians of all colours continue to be marginalised in an increasingly autocentric society. 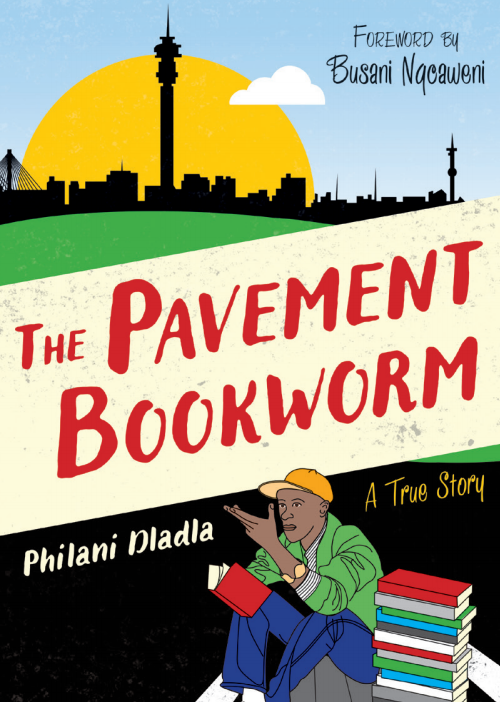 It is, nevertheless, essentially an optimistic book; it tells the stories of South Africans (and visitors) who have chosen to ‘reclaim the streets’ from predators and traffic. The band of pedestrians includes writers, artists, political activists, disabled people, dogs and their owners, Walk for Life members, Jews on the Sabbath, domestic workers, refugees, babies learning to walk, and even a golfer and a caddie. Margaret Wasserfall, in conversation with Una van der Spuy, Pat Featherstone and Christine Stevens! Margaret Wasserfall, former editor of SA Garden & Home speaks with Una van der Spuy, Pat Featherstone and Christine Stevens about their passion: growing. Una van der Spuy is one of South Africa’s best-known gardeners, author of 11 gardening books – most recently Old Nectar, on her famous home garden, Old Nectar, which has been visited and admired for decades. Now an irrepressible 97 year old, still active and enthusiastic, Una will share the wealth of knowledge and experience she has distilled over a lifetime. Christine Stevens, organic farmer, wine-maker, extraordinary cook and author of Harvest: Recipes from an Organic Farm, will share her passion for growing things and taking food straight from the garden into the kitchen, focusing on the benefits of seasonal planting and companion planting. Acclaimed home-grown photographer, Jodi Bieber, has created an open-ended essay which is a celebration and a portrait of life in Soweto today. The importance of Soweto in the collective consciousness is hard to overstate. It registers as a place born of resistance, perhaps even embodying the South African struggle for freedom. But the birth of Kwaito is attributed to Soweto too. And beyond the grand narratives, there is, and always was, a proliferation of dancing, art and fashion in this place defined by its energy and cosmopolitan nature. Labelling and un-labelling, claiming and discarding, Sowetans have created Soweto anew. This is a phenomenon that is celebrated in this photographic publication, which contemplates daily lived realities, where here, as elsewhere, South Africans are continually reinventing themselves and their urban space. Science writers and journalists in discussion about how to make quality science writing more accessible and exciting for the public. Activist and writer Nathan Geffen (author of Debunking Delusions) in conversation with Marcus Low (editor of Equal Treatment magazine), Christina Scott (President of the South African Science Journalists Association), Adele Baleta and Prof. George Claassen (author and co-author of five books including, most recently Geloof, Bygeloof en Ander Wensdenkery: Perspektiewe op Ontdekkings en Irrasionaliteite, 2007). HIV denial, global warming scepticism, fears over the Hadron collider, defences of intelligent design: How can science writers rejuvenate scientific discourse and help liberate it from the murky waters of social relativism and uninformed scepticism? How do we prevent the flame of science from being extinguished in a storm of over-hyped press releases, sensationalist headlines and short attention spans? Top South African science writers and journalists discuss these and other burning issues in the world of South African science writing. Heavy-weight political analysts come together to look at the state of our democracy and ask: Where to from here? Discussions around bespoke materials for second language audiences, NGO publishing for the trade market, and packaging research for organisational outcomes and the trade market. Facilitator: Marcus Toerien with Aadielah Maker (Soul City), Lee-Anne Smith (SAIIA) and Moira Levy (IDASA). Librarians, educators and others concerned with creating literature for children in Africa, come and share your ideas about what books our children should be reading, what they should look like AND how we get these books to them! Speakers: Carole Bloch (PRAESA’s Early Literacy Unit), Niki Daly (author/ illustrator), Arabella Koopman (publishing consultant), Nombulelo Baba (Centre for the Book/National Library) and Pamela Maseko (UCT). Helen Moffett will conduct our trip around town with Patricia Schonstein, Don Pinnock, Ronnie Govender, Rustum Kozain and other writers and poets of Cape Town! Come with us on a literary tour that will provide a chance to meet some of the writers who have created and recreated Cape Town in writing. Writers on board the bus will read extracts from their work at the places that have served as locations for scenes in their work or provided the inspiration for their writing, and there will be an opportunity to chat with them on the road. This will be followed by mulled wine and cinnamon biscuits and a chance to get books signed by the authors at Clarke’s Bookshop. World-class political cartoonists come together to examine symbols, stereotypes and issues of representation in South African political cartoons! Speakers: Moderated by Dr Stella Viljoen, in conversation with Zapiro (aka Jonathan Shapiro), Andy Mason and Anton Kannemeyer. Speakers: Editors Fanie du Toit (Director for the Institute for Justice and Reconciliation) and Erik Doxtader in conversation Raenette Taljaard and Pumla Gobodo-Madikizela. Some of South Africa’s most exciting and innovative writers come together over dinner to talk about new directions in local literature! Speakers: Kopano Matlwa, Eric Miyeni, Fred Khumalo, Zinaid Meeran, Rosie Kendal and Ndumiso Ngcobo. An interactive one-day introduction to the world of cartooning, facilitated by Andy Mason and Kathy Coates, with appearances by Zapiro, Stephen Francis & Rico of Madam & Eve, and artists from Supa Strikas! The Bester sisters are an author-and-artist team who publish exquisite children’s books in English, Xhosa, Zulu and Afrikaans. Chef Christine Stevens will be demonstrating some of her organic recipes from Harvest. DISCUSSION: Sustainability: A voting issue? How do we get sustainability on the political agenda for the upcoming local elections? Speakers: Moderated by Prof. Edgar Pieterse (African Centre for Cities), in conversation with Lance Greyling (MP and Chief Whip of ID Parliamentary Caucus), Muna Lakhani (Earthlife Africa), Prof. Mark Swilling (Director, Sustainability Institute) and author Richard Calland. Prof. Wole Soyinka in conversation with Kopano Matlwa, joint winner of the prestigious Wole Soyinka Prize for Literature in Africa! A selection of South Africa’s sharpest wits will join different tables for each course for some challenging, rigorous and out-of-the-ordinary dinner table conversation. Speakers: Marianne Thamm hosts Rico Schacherl and Steve Francis (the men behind Madame & Eve), Eric Miyeni, Andy Mason, Zapiro, Ndumiso Ngcobo and Tom Eaton. How field guides and photographic reference books are made – hosted by John Ledger, with some of South Africa’s top wildlife writers and photographers. Speakers: John Ledger (host) Peter Steyn, Trevor Carnaby and Shem Compion. DISCUSSION: Dinosaurs or Dynamos: Is there a future for museums in South Africa? Pippa Skotnes in conversation with Steven Dubin, Sue Williamson, Riason Naidoo and Andrew Lamprecht! The event will include the launch of the Toonlab Tabloid, a publication featuring work by South Africa’s current and future generations of political cartoonists.The exhibition will run from 19 to 31 August.